Ever wonder what happened to craftsmanship? We did. It seems everything is mass produced these days. Large corporations are filled with cubicle dwellers counting beans. Mom and pop stores have been replaced by mega-boxes, selling sweat socks made in sweatshops in some country whose name we can't even pronounce. Even your favorite hooch is being made by robots in huge industrial factories. You deserve better than this. Well, we're not going to take it lying down! 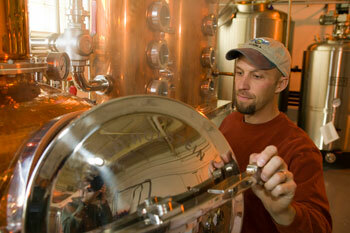 Great Lakes Distillery is doing it the old fashioned way. Small batch products made with old world methods. Methods which result in products with great taste and personality. Unique products made with local ingredients whenever possible. We try to put a Wisconsin twist on everything we do! 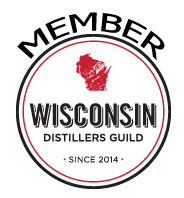 Located right in the heart of Milwaukee, distillery founder Guy Rehorst has built a world class artisan distillery and committed to produce limited quantity products guaranteed to please. We hope you'll give our products a try and see for yourself what a true artisan distillery can do with old fashioned craftsmanship. You deserve it.